Under the MoU, the major areas include sharing common information relating to SEZs and EOUs. 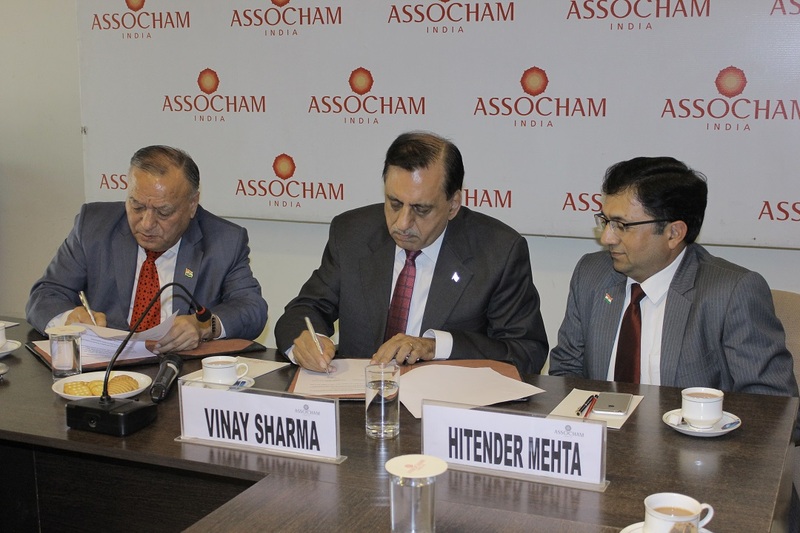 Export Promotion Council for EOUs and SEZs (EPCES) and the apex industry body, The Associated Chambers of Commerce & Industry of India (ASSOCHAM) on Friday signed a memorandum of understanding (MoU) collaborate together to actualise a shared agenda consisting of wide ranging activities of mutual benefits. Speaking on the occasion, Vinay Sharma, Officiating Chairman EPCES said, “There has long been a need felt to effectively tap the benefits of the already existing synergies between EPCES and ASSOCHAM - the two leading industry bodies of the country. “And in this regard, I am fully confident that the agreement would henceforth play a catalytic role in furthering this shared vision of the two organisations. Going forward, I am certain that the benefits envisioned under the MoU would act as an effective springboard, adding further impetus to the efforts of all of our 6,000 EOUs/SEZ units/ SEZ developers spread across the country,” Sharma said. “In terms of exchange of information, formulating mutually beneficial win-wins and facilitating each other’s business interests in respective domains, the new association would be instrumental in accelerating the growth of the SEZ/EOU fraternity in the country”, he added. DS Rawat, Secretary General, ASSOCHAM said, “Apart from a focus on fostering conducive environment for the growth of trade and industry of India, one of the important goal of ASSOCHAM has always been to promote international trade, reduce trade barriers, raise concerns of exporting fraternity at all appropriate fora, and for all such cases. “With EPCES onboard now, we believe, the voice of the SEZ and EOU sector is set to not only get more powers but added leverage and recognition among policy circles in the coming days,” Rawat said. Under the MoU, the major areas identified include sharing common information relating to the SEZs and EOUs businesses, collectively organising events both in India and abroad, for optimum costing, better visibility for its members. In addition, jointly entering trade delegations to various countries for wider reach and awareness about the EOUs and SEZs in India and making efforts to rope in international investors into Indian SEZs and EOUs.